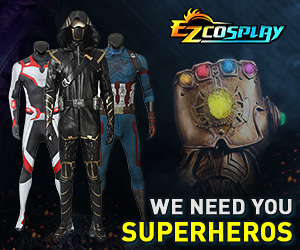 2014 Cosplayers: Who are you going to be? Sooo, who are you going to be? Here is a preview of the Lightning Armor. Gosh I am so excited! It all depends on my commissioners and the lack of care almost every one I have do this for me has. You'll make an awesome Bolin. If I see you, do you mind if I take a picture? You shouldn't say it's unfortunate. You're beautiful anyways :bigtu: Plus, Sailor Venus and Totori look adorable. It suits you! Also, I hope you'll be able to get the commissions and more support. Sometimes, I feel like it's hard being a Cosplayer/nerd...But it's so fun. Wow! Lighting's Dragon Armour looks very complex! I need to get Lightening Returns. Are you using Craft Foam, worbla, or any other plastics? :toothy: You must have a lot of skill (and money lol) to create such armor. btw, The Kakashi you're going to be, is it similar to Lightening? Of course you can! =) and thank you for thinking that I will make an awesome Bolin ^_^. OMG! I love Bayonetta, Joy was my favorite angel... I need to get a picture of you!! I'm doing rule 63 Toriko Friday and Sailor Venus Saturday. Does anyone know if there is a sailor moon meetup?